Like the view from above a hurricane, the shell of a tiny snail, or a glimpse at another galaxy through a powerful telescope, these mailing seem out of this world but portray a pattern that is all around us. It's even found in your fingerprints! 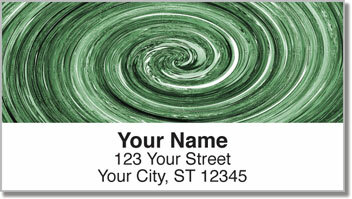 The spiral motif is everywhere you look, and now it can be on your outgoing mail too! 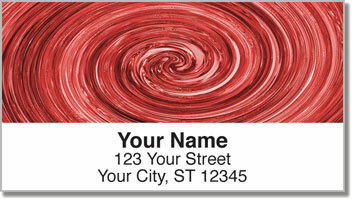 Choose from four bold colors every time you prepare an envelope to add stunning style and save time too. 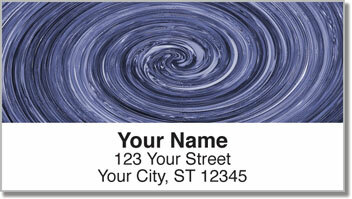 Because these are self-adhesive labels, you can forget about the painstaking process of printing your return address. Just peel and place on anything you stick in the mailbox. 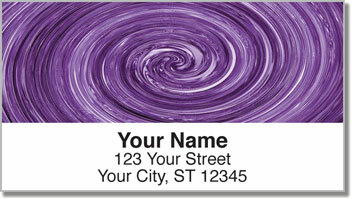 Order your own Super Swirl Address Labels right now! Get them with a set of matching personal checks.